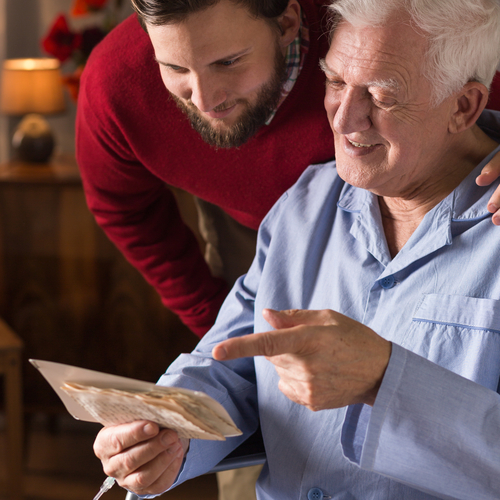 Caregivers and their loved ones with dementia benefit from periods of respite care. Below, the compassionate team at Aisha’s Divine Setting Home Care in Moncks Corner, SC, shares a few of the cornerstones of providing quality dementia care. Addressing these areas ensures your loved one is taken care of. When caring for someone with dementia, some days are naturally going to be harder than others. Even when times are tough, though, it’s important to be patient and remain upbeat. If you get frustrated, it’s only going to upset your loved one even more, so take a deep breath, count to ten, and try to empathize with his or her situation. Remember that body language and tone of voice can set the mood when communicating with someone who has dementia, so speak in a calm voice, use soft facial expressions, and employ gentle physical touches to put your relative at ease. When interacting with someone who has dementia, simpler is always better. This applies to both carrying conversations and completing tasks. Ask simple questions that your loved one can answer without too much stress, and provide options for him or her to choose from when possible. Likewise, break down complicated tasks into a few easy steps to make them more manageable while still providing your relative with a sense of accomplishment. This includes everything from getting dressed in the morning to putting away clean dishes. If your family needs dementia care for an aging relative, turn to Aisha’s Diving Setting Home Care. Based in Moncks Corner, SC, they are proud to serve clients throughout the Greater Charleston area. Whether you need help at home or simply want to arrange for companion care, you can rely on them for quality service from day one. Visit them online or call (855) 277-8885 to discuss your family’s dementia care needs today.